An excerpt from the article, “A Letter to My Teenager.” Read the article in its entirety in the latest issue of the Eagle Magazine. It seems like yesterday, you were three-years-old, running around in your little sneakers in our backyard. We spent countless afternoons together underneath the shade of the elm tree, which held your favorite yellow swing. I pushed you as high as I could and then ran under the swing as you repeatedly shouted, “Push me again, Mama! Push me again!” When you were tired of swinging, I twisted the rope as tight as it would go, and once I let go, you squealed dizzily with delight. I can still picture your big brown eyes lighting up and the sun shining through your curls. I can hear your joyful, innocent giggles. Sadly, our beloved tree had to come down. As the large truck removed the tree, I’ll never forget the sadness we felt that day. We loved that tree. We both loved the memories it held. It was not just a tree; it was a record of your childhood. In the rough bark of the trunk, you wrote your name and drew a cross—a remembrance to all the fun we had playing hide-and-seek, calling the tree “base” for every game we played, finding constant rest under its shade, and swinging joyfully from its branches. I’ve heard many describe motherhood with the phrase, “The days are long, but the years are short.” How true this is! I recall a time in that same backyard, suddenly confronted by the realization that these current moments are fleeting. I can’t believe we are here: sophomore year, halfway through high school. The years are truly flying by. Now that I’m here, and you’re just years away from graduation, I’m choosing to cherish the present as I joyfully watch you grow into an amazing young woman. This edition of the Eagle Magazine is about family. Family looks like community at SBS. It shapes and molds every inch of our being. 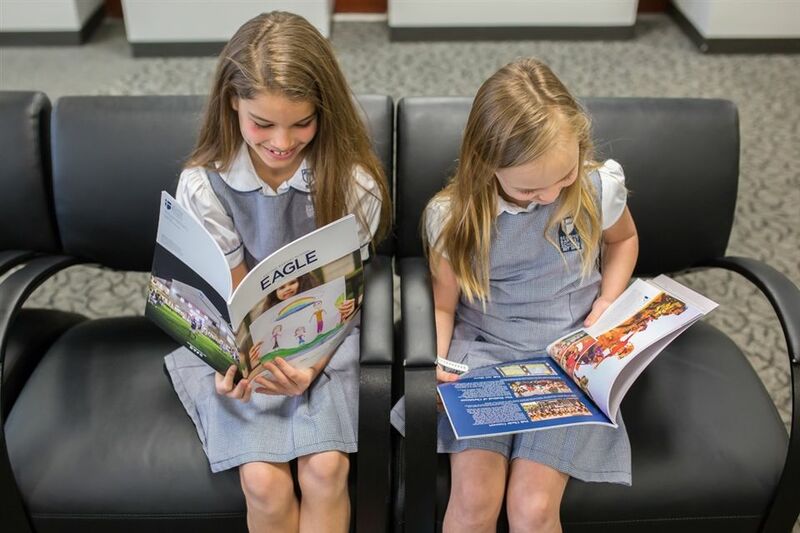 Be on the lookout for your very own copy of the Eagle Magazine in the mail or in any SBS office on campus.